This post is for Cat. Today is Cat’s favorite Holiday, and Malka sends her love to you, out in the hinterlands…. Here we see Malka in her Purim outfit, which will also serve a purpose when we go to the Natural History Museum today, for their annual Halloween Party. Oh and it was glorious too! Happy Halloween! Belated. Miss Malka is adorable. Can’t wait to see the rest of the photos. 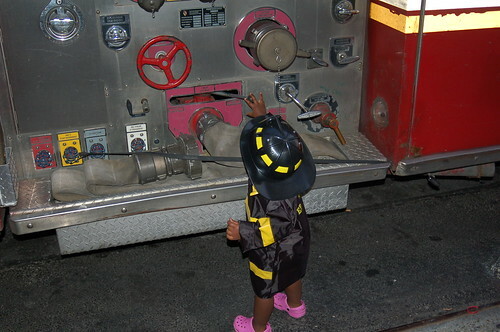 She sure did look adorable as a little Fire girl!